The number of families being separated by conflict, violence and natural disaster is at a five year high, according to data from the International Committee of the Red Cross (ICRC). New cases of relatives contacting the organization looking to reunite with loved ones have increased by almost 90 percent over this period, with 18,000 new cases opened last year alone, it said on Friday. However, the ICRC warns that this is just the tip of the iceberg, with a lack of accurate data collection meaning the number of families torn apart is likely to much higher. The warning coincides with the launch of a new Christmas campaign from the organisation, which sees the distress of family separation brought to life in a powerful film which you can see here. Using CCTV-style footage of parents in a series of familiar settings, from crowded shops to the zoo, the film captures the panic of mums, dads, and grandparents momentarily losing sight of their children, and their frantic efforts to find them again. This temporary separation is contrasted with the years of separation endured by thousands of families across the world along with some touching reunifications that have been facilitated by the ICRC. The organization are calling for the public to share the video to help raise awareness and donate to support the vital work they are doing to help to ensure that families can be together during this special time, and all other days of the year, too. “The pain of losing a child is every parent’s worst nightmare, but for families affected by conflict, violence or natural disaster it is a stark reality that can last for years. 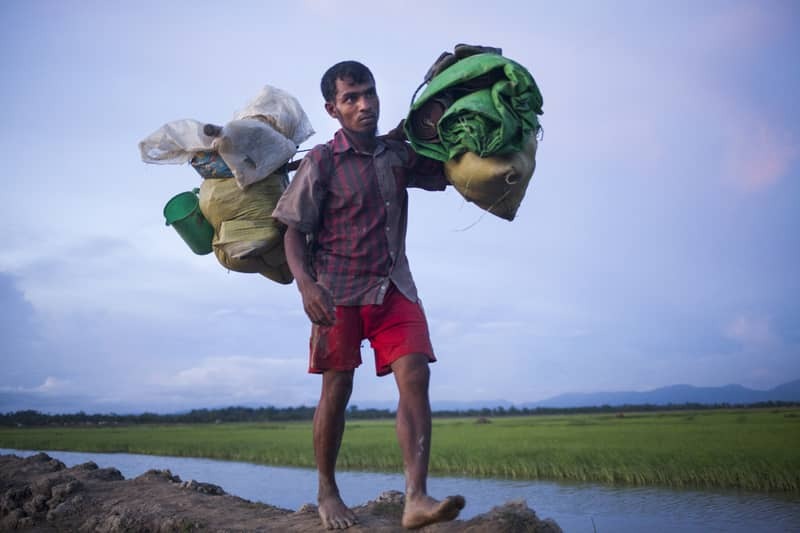 Conflict is becoming increasingly protracted and the world is currently seeing the largest movement of people since the Second World War: these factors are increasing the risk of families losing contact.” said Matt Clancy, ICRC spokesperson. The International Committee of the Red Cross is working to combat this issue by helping reunite family members. For over 100 years the ICRC, and their partners in the Red Cross movement around the world, have been working to bring separated families back together again. Sometimes this can be through a letter or a phone call and sometimes through a reunion like those featured in the video, said the ICRC.